On November 8, the Washington Redskins take on the New England Patriots and lobster-licious destination Lobster ME has both teams covered with area-inspired lobster rolls. 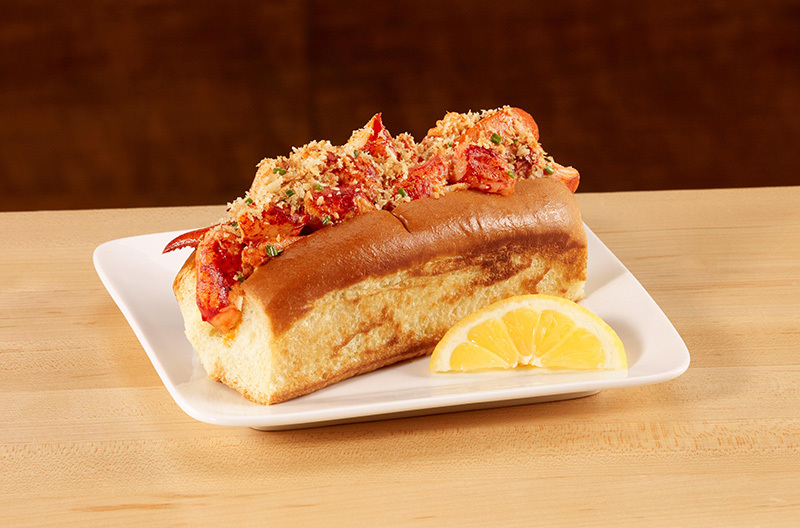 While New England fans might want to whip up Lobster ME’s Connecticut Lobster Roll, Washington fans can dig into the Beltway Lobster Roll. I recently sampled Lobster ME’s newest creation and let’s just say, this Connecticut girl is a big Beltway fan. Whatever side you choose, you’ll have a uniquely delicious and decadent game day treat. Steam lobsters until cooked through (cooking times will vary based on lobster size) and allow to cool. Shuck lobster meat from shells. Gently fold lobster meat with diced shallots, chives, Old Bay, mayonnaise (to taste), and a pinch of salt, set aside. Melt 1 Tbsp. butter in small skillet, toast panko crumbs until golden and set aside in a small bowl. Clean out skillet, melt reserved 1 Tbsp of butter in skillet and toast outside of buns until golden brown. Stuff lobster mixture into rolls, top with panko crumbs and enjoy!